Michell Instruments has issued a white paper, Advances in Optical Techniques for Moisture and Hydrocarbon Detection, which discusses how new optical sensing techniques for processing natural gas will help the industry face current challenges. Newly emerging gas sources – such as shale gas and biogas – are helping to meeting the world wide demand for natural gas, but bring new challenges to the processing industry. All raw natural gas varies in composition when it is extracted but these new sources vary much more rapidly and over more extreme ranges. 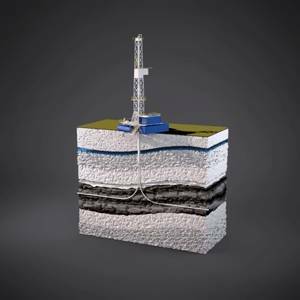 Although methane is the main component, the wellhead gas also contains amounts of other hydrocarbons such as propane, butane and some heavy hydrocarbons. There are also varying quantities of other contaminants such as water, nitrogen, hydrogen sulphide and carbon dioxide. Shale gas in particular can have far greater dynamic variation in its constituent hydrocarbon composition, and also often contains far higher levels of contaminants such as CO2 and water than is typical from natural gas originating from other sources. The challenge to the processing industry is being able to treat these different compositions of raw gas to meet the same international standards before it is injected into the transmission pipeline. The developments in new optical sensing techniques discussed in the white paper by Michell, show how increased sensitivity in detection limits in optical sensing methods – including both chilled mirror for hydrocarbon dew point and laser spectroscopy for moisture measurements, will help processors to meet the guidelines.